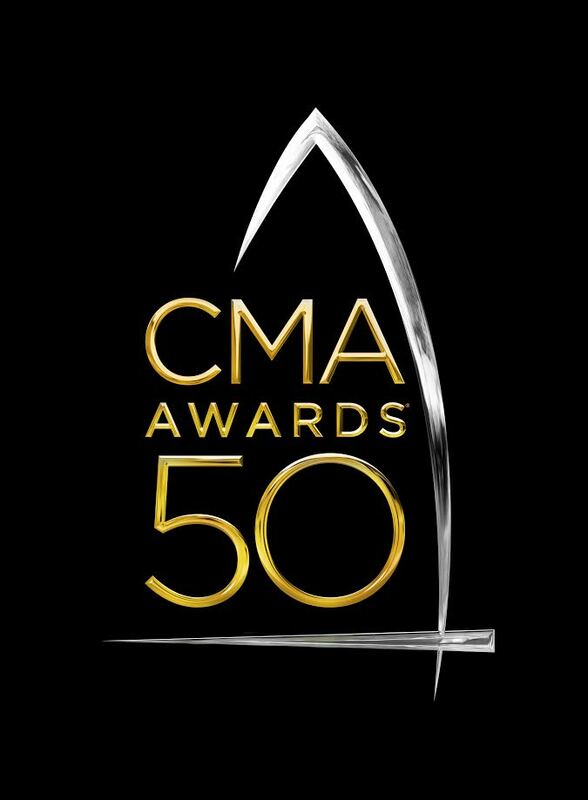 I’m so excited to join my friends from Martha White and the Country Music Association to celebrate another year of the CMA Awards! This year, the awards are in the 50th year so that means the show is going to be even more incredible! And guess what, you could be there! Yep, you and your guest could be there right in the audience to experience the whole thing – the folks from Martha White are going to see right to it. 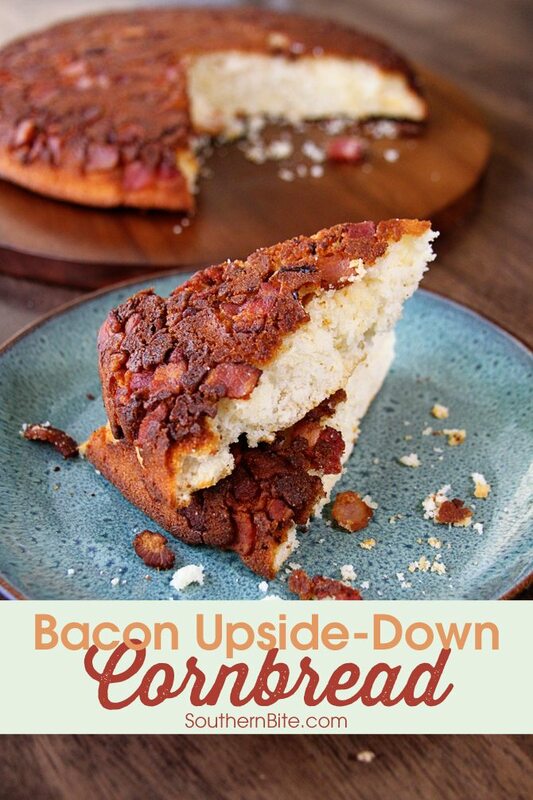 To celebrate with my friends at Martha White, I’m sharing a recipe for this 3-ingredient Bacon Upside-Down Cornbread! Y’all, it’s so easy! And super delicious! And it’s all made in one skillet. 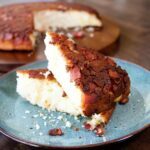 By browning the bacon in the same skillet that you bake the cornbread in, you get the skillet super hot, which makes the outside amazingly crunchy, and the grease from the bacon gives it ridiculous flavor. It’s the perfect bread to go with nearly any meal, but is especially great with southern greens or beans. And seriously, who can so no to cornbread and bacon??? Preheat the oven to 450°F. Coarsely chop the bacon. Cook the bacon in a 10 to 12-inch cast iron skillet over medium-high heat. Cook until the bacon is just crisp. Remove from the heat. Do not drain the grease away. In a medium bowl, combine the cornbread mix and milk and stir until combined. Pour the batter into the hot skillet over the bacon and bacon grease. Carefully spread even, then bake for 16 to 18 minutes or until golden brown. Remove from the oven and invert on a plate to remove the cornbread from the pan. Serve warm. 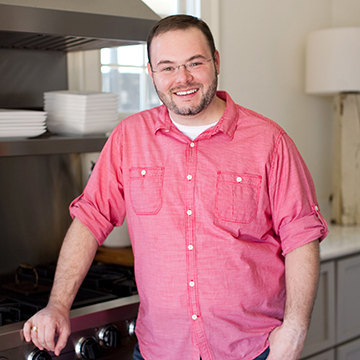 I’m proud to be an ambassador for Martha White, and they sponsored this post, but the opinions here are all my own – just as always. Man that looks good. I got to try that! I sure hope you’ll enjoy it, Ronnie! Been so busy hadn’t had time to make it yet but I will get around to it one day! I made this last night using Jiffy Mix with almond milk instead of regular. It really is quick and easy and super yummy!! I plan to add this to my weekly meal schedule over this winter and eat lots of chili. 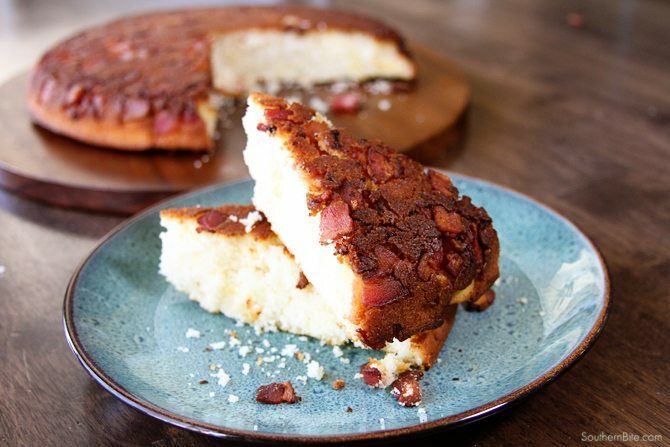 It’s the perfect remedy for making bacon last longer and I’m sure you could freeze some and it would do great reheated… like for a potluck or camping trip. I highly recommend it! Isn’t it great??? So glad you enjoyed it, Jessica! You are breaking my heart since I don’t have Martha White in CA, unless….Amazon?? Yes, try Amazon. I’ve heard some folks mention Target as well. 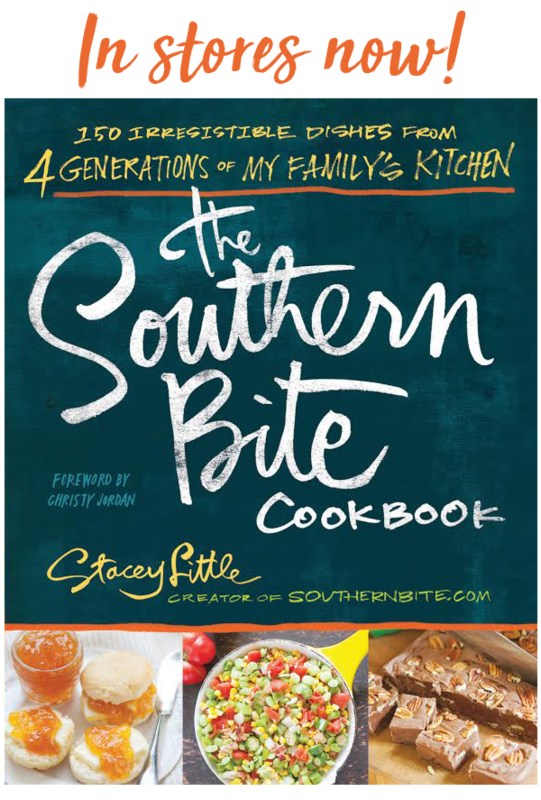 I think you can also order it directly from the Martha White website. I feel your pain. Moved to Texas from Tennessee and couldn’t believe no one sells Martha White here. I ordered some from Amazon. One dozen bags. Good thing I have a big freezer! Have to try this. My only problem is, I will be 87 years old next week, and can hardly lift my iron skillet, so not sure I will be able to flip this, but sure am going to try. Ham and navy bean soup, and this. Yum!!!! Sounds like a GREAT combo! !